Titan Poker is an excellent poker room within the iPoker network. You can download a poker client or play directly in your browser (requires Flash). Examples of poker variants available in the Titan poker room are Texas Hold’em, Omaha, Omaha HiLo, Razz, 7 Card Stud, 7 Card Stud HiLo, and 5 Card Stud. 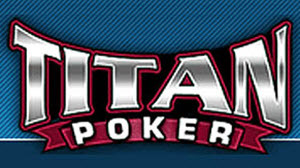 Titan Poker is a part of the iPoker network. This means that you can play against players from poker rooms such as Bet365 Poker, Expekt Poker, Everest Poker, William Hill Poker, Ladbrokes Poker, Betfair Poker, and more when you sit down to play in the Titan Poker poker room. At the time of writing, the iPoker network is #4 on PokerScout’s list over poker rooms and poker networks with the most traffic to their cash game tables. Only PokerStars, 888 Poker and Bodog have more traffic. 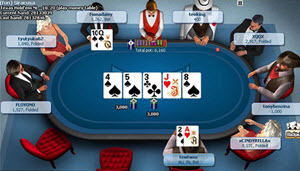 Titan Poker gets the poker software from iPoker. The software is created by Playtech. The software is easy to navigate and use, and you will understand it quickly even if you’ve never used it before. A nice touch is the option to watch hand replays. Keeping up to 16 poker tables active at the same time is no problem with this software. You get a 100% match bonus on your first deposit, up to $500. Titan Poker hosts the European Championship of Online Poker (ECOOP). This is a ten-day long poker event with very generous guaranteed prize pots. The Titan Poker VIP Club lets you collect points that cane be used as currency in the Titan Store. You can for instance purchase tournament buy-ins or turn your points into cash. The Titan gambling site offers sports betting, casino and live casino in addition to the poker room. The Titan Poker customer support is open 24/7. There is also an excellent FAQ available on the site. The email address to the support is support@titanpoker.com. Titan offer a good selection of different banking options. You are almost guaranteed to find a transaction method that suits your needs. They do unfortunately not offer the option to deposit money by invoice.